It’s been a while since the men in blue played any handy Test Cricket. The last test series that India contested in was against the big, burlesque South Africa during their tour to India 2015-16. And what was expected to be an evenly contested series, pretty much turned out to be a one sided dampener, with India cleaning up South Africa 3-0 in the four match series. Interestingly, the last test played at Delhi saw India hitting South Africa below the belt with a 337 run triumph. But India is back to playing test cricket now. And that too after a good 6 months. It’s a different season. We no longer have the elite services of our test match specialists Dravid and Laxman and Dhoni is off from tests too. As the boys look set to play a 4 test match series in the Caribbean, it seems they are up against a depleted West Indies side. They’ll be missing the old guard Shivnarine Chanderpaul but will be hoping to carry their good form in limited overs cricket into the 5 day challenge. While India would expect it to be an enterprising series, the West Indies will be hoping against hope to contain the barrage of attacks from a side that sits right among the top of Test rankings. 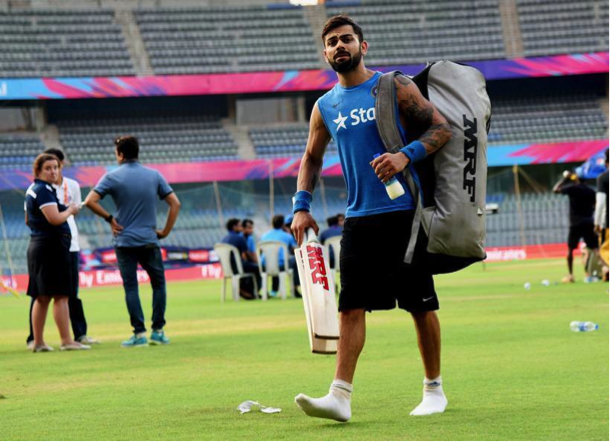 The cricket fan doesn’t need a jugglery of poetic attributions to know Virat Kohli. One can simply turn on the highlights of any of Kohli’s recent games to see the brutal form that he is in. He’s proved his mettle in limited over cricket and has enjoyed outstanding success in T20s this year. Even in the IPl, he amassed a whopping 1000 runs. But then what about tests? When Kohli was made the makeshift captain in our town Down Under (2014), he answered with a brisk 147 at Sydney. Incidentally, he compiled 4 outstanding centuries in the same series. There was never a doubt about how he handled himself as the leader. But it’s a different occasion now as Kohli prepares to unleash a bandwagon of India’s spirited young guns in his first overseas tour to the Caribbean. One would expect Virat to conquer the Caribbean fortress easily but he would have to rely on his players- Rohit, Dhawan, Raina and Jadeja to see off the challenge along with his sensational form with the bat. Young West Indies captain Jason Holder is as inexperienced as a derby on its first run but as determined as an archerer on his last assignment. 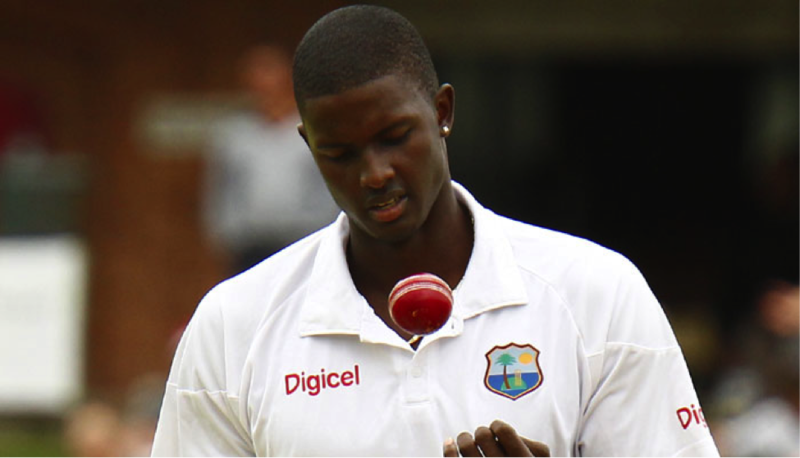 At 24 years of age, this isn’t the first test captaincy assignment for the Barbadian. The lanky right arm pacer has 21 wickets from 13 tests in a career that has only just begun. But he isn’t an average competitor. Long regarded as a bowler who can do more than just hold the bat, Holder’s fine 103 against England during their Windies tour in 2015 saved the West Indians from Jimmy Anderson on a day when he was firing seven different kinds of smoke. Holder has recently announced his intent to get back to scoring some runs in the test arena after the constant rigors of limited overs and T20 cricket saw Windies away from the test match arena. One can hope to witness some jewels from Holder’s growing all-around abilities in this important tour for his West Indies. How do you describe this talented test match specialist? He invariably scored big hundreds in his first 17 test innings, with 2 double centuries and 2 innings beyond the 150’s and then collided with an indifferent form with the bat. Newly restructured into the test side post a disastrous England Tour (2013) and that of South Africa, Pujara answered his critics by starring with a match-winning hundred against Sri Lanka. But his heroics, quite like his hero Dravid were forgotten in front of the cloud of attention surrounding Sangakkara in what was his last ever test match! But what is important is that spending some time bench-warming for loss of form has taught Chetershwar Pujara the importance to guard his spot in an increasingly competitive Indian side. Will we see a Pujara special from No.3 in this series? The West Indies never seem to disappoint from the excitement they instil in the sport given their somewhat wayward selection policies. A few months back, one wouldn’t have expected to see Carlos Brathwaite into the test side, until his firepower in the recent ICC World T20 made headlines for reducing oppositions into dust. 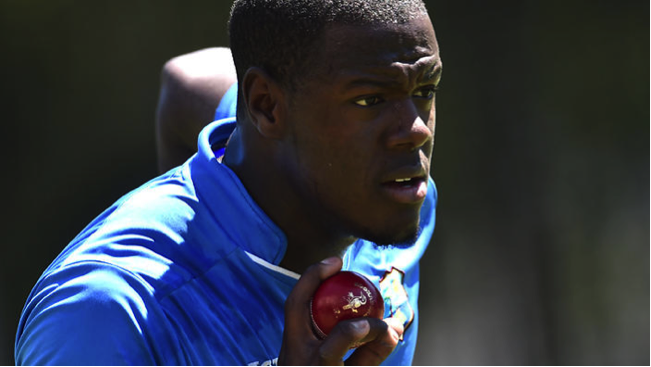 The young Barbadian has been inducted into the test side for the very first time but he will have to exhibit both patience and application if he’s to make heads turn in the same way he did for his all round exploits in limited over cricket. 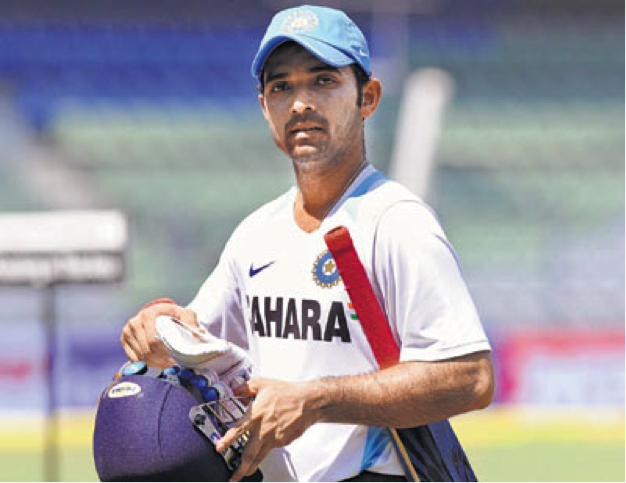 This is the first opportunity for Rahane to make his mark as the team’s Vice-Captain. There’s never a doubt about Rahane’s solid batting technique. Here’s a man who believes in wearing bowlers down, taking all the time in the world to settle in and gradually splattering a pinch of salt on bowler’s wounds whilst making his mark. But as often seen in the past, the tour to West Indies brings up several revelations. As a first timer, Rohit Sharma and Ishant Sharma failed to make their mark. Experienced guns like Agarkar did little to impress. But then this is Ajinkya Rahane! He doesn’t bow down to challenges. Ever an able adapter in the game, he can do both- score quick-fire runs sporadically and withstand pressure in the middle. As the best lower order batsman, he will add fire to Kohli’s dreams of annihilating the West Indies. 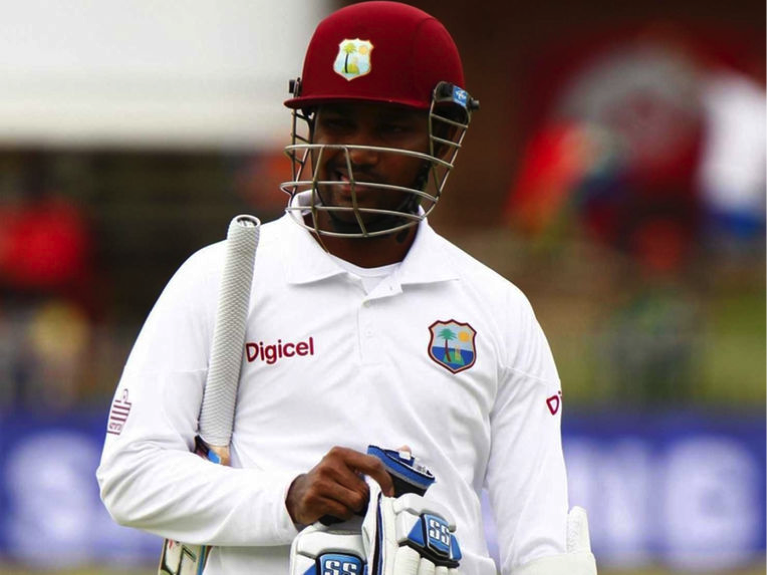 From the outset, Ramdin doesn’t seem much of a threat as a batsman but given the fact that Windies are in their continued transition phase, he was a handy competitor who could conjure fifties when pressure cracked up the West Indies. But he’s just been axed from the test side by newly elected chairman of selectors, Courtney Browne. While this will surely hurt the Windies who would have depended on the experience of Ramdin to guide them in clever situations, it also presents an irony: Browne who axed Ramdin was also a wicket keeping batsman for the Windies. 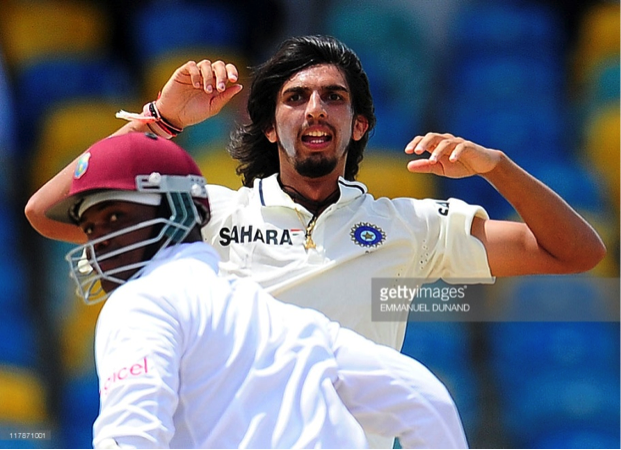 Ishant has only had one previous tour of the Caribbean and he was somewhat modestly impressive back in 2011. There were also Munaf Pate, Sreesanth, Zaheer Khan and Amit Mishra back then. But they are all history now save for Amit Mishra. But this time around, Ishant will have to appear as the ring leader of a pack that seems in ominous form given the presence of B. Kumar and Umesh Yadav. Clearly, the most experienced lad with 201 test wickets, Ishant will look to extract more bounce from turning and somewhat uneven pitches at Jamaica and Trinidad. 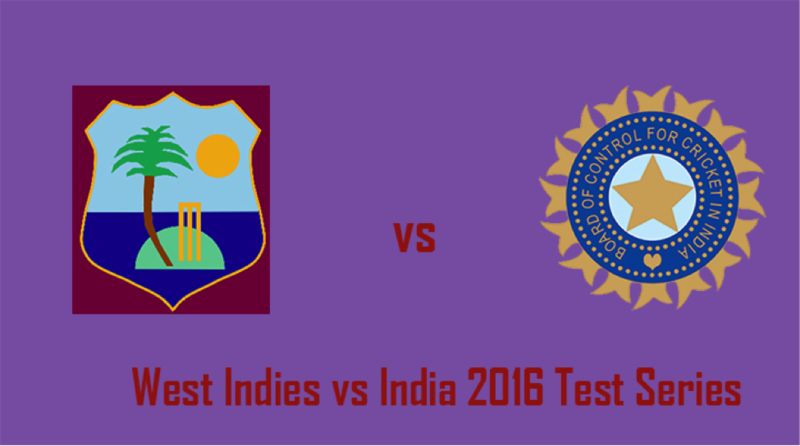 8) Can Kraigg Brathwaite tame Indian pacers? He’s steady, silently determined and a patient bat. At 23, with an impressive double century under his belt from his collection of 4 hundreds and 8 fifties so far, the West Indies have a pure test match specialist in the form of the young Barbadian. He begins his innings slowly, playing every delivery to its merit, seldom coming in way to the balls going way outside off whilst exhibiting a fine balance and temperament at the very top of the order. 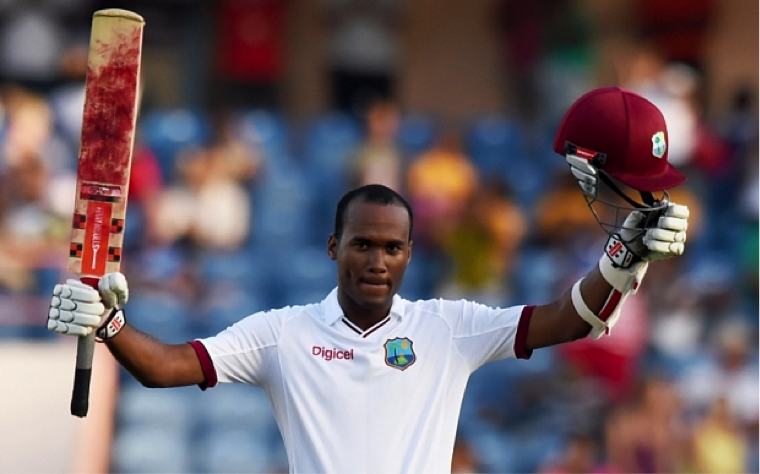 These are qualities that make Brathwaite an impressive opener. Staying cautiously away from the lure of ODI and T20 cricket, the youngster seems cut out for test arena. But he will have to answer with the bat and not rest on laurels of the recent past in order to establish his mould as a gritty test batsman. Importantly, he is one of the 4 genuine batsmen in a line-up that will look to Bravo, Samuels and Blackwood to give India some fight. He isn’t called one of the most grittiest competitors for nothing. India’s highest test wicket taker with 619 scalps will look to inspire the likes of Amit Mishra and R.Ashwin in his maiden assignment as India’s coach, a post closely watched with hawk eyes for it has the power and wisdom to change the direction of Indian Cricket. 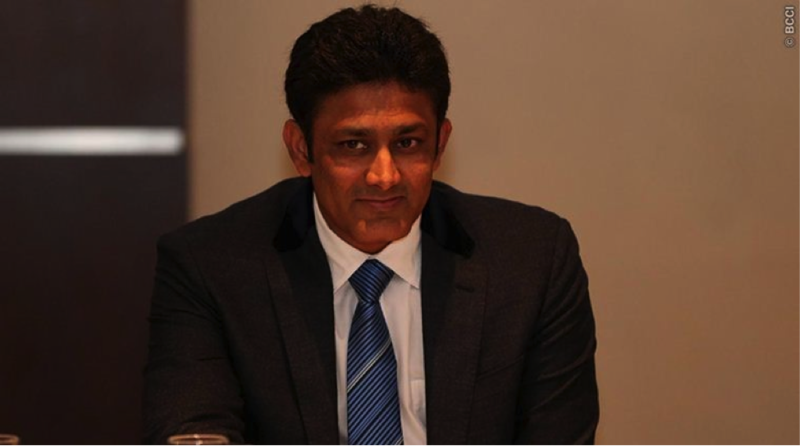 Kumble the leader will look to offer all his wisdom and experience of having played 3-4 previous tours in the Caribbean to the quartet of youngsters willing to make headlines. And one can only hope nothing but the best from arguably India’s most respected and dependable former cricketer. For sure they will be missing the big names. With no Gayle, Dwayne Bravo, Pollard and Sammy, the Windies selectors have depleted the national side from the experience of over 100 tests and several thousand runs. But despite their absence, a trend previously continuing from the last 3 years, it seems, at the moment the momentum has shifted to a bracket of inexperienced but highly talented young batsmen of the class of Darren Bravo, the caliber of Marlon Samuels and the unbent force of newbie Jermaine Blackwood. Ramdin’s axing is going to hurt them big time but the India tour will be perhaps the best opportunity for Bravo to emerge on top of his detractors. 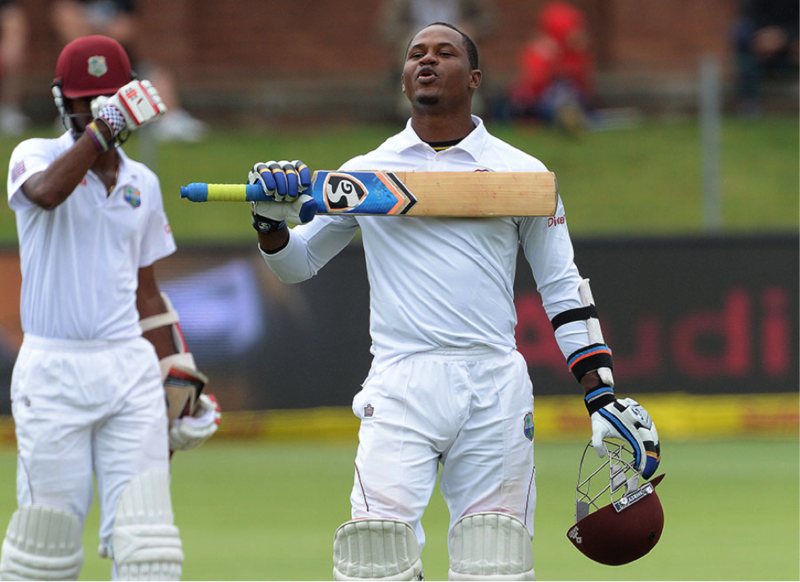 He and Samuels will have a lot in their hands in giving Windies anything close to an edge over India. If Brathwaitte can stay for long at the top, then the trio of Samuels, Bravo and Blackwood will have to carry the bulwark of West Indies scoring. No two ways about that. Let’s hope for anything but a one sided affair this time around.